Posted on June 1, 2018 by Nathan L.
Are you moving to Twin Cities? Do you want to know what to expect in this area? If yes, you are at the right place. We bring you a list of things you should know about Minneapolis & St. Paul. We inform you about everything which you must know before relocating to this area. Relocation to a new place is a major decision in life and to be good preparation for this task, you have to have the knowledge about the Twin Cities. The population in Minneapolis & St. Paul is constantly increasing because people really like living in these cities. 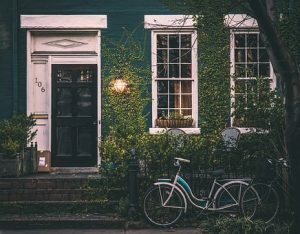 Before you relocate to Twin Cities, make sure to hire a quality real estate agent to find the best and affordable housing in Minneapolis. It is very important to find your next home and a new job before you move. Don’t worry, there are many job opportunities in Minneapolis waiting for you. Don’t be afraid and be ready for your new adventure. Read following tips to get the whole picture of the things you should know about Minneapolis & St. Paul. 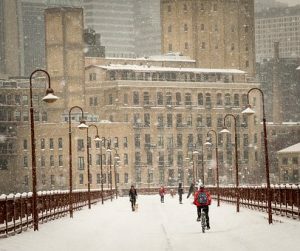 When moving to Minneapolis try to avoid moving during winter months. Or, if you have to, find reliable Minneapolis & St. Paul movers who can handle your move on the snowy, cold and icy road. Trust us the winters in Minneapolis are so cold that the ice on the lakes gets enough to accommodate ice fishing. So, be ready for cold and snowy winters and if you must move it during winter months make sure your movers can provide you with safe moving resources. Be ready for cold and snowy winters and if you must move it during winter months make sure your movers can provide you with safe moving resources. A large number of people come to explore this beautiful area during warmer months. Minneapolis & St. Paul are very attractive places for tourists from all around the world. Everyone enjoy bike riding in warmer season and it is the best way to explore this place. So, after you settle down, rent a bike and start exploring your new city and neighborhood also checking fun places in Twin Cities. Minneapolis & St. Paul are places where you can get plenty of parks. So, you and your family can enjoy daily outdoor activities. Everyone wants to stay fit and healthy, so when you start searching for a house, try to find one with green space nearby. When you are living in Minneapolis & St. Paul you might be tempted to buy a boat. But, if you think about this investment also think about your budget. Twin Cities have many recreation centers around lakes so you may need a boat for it. Also, you may be tempted because of the Mississippi River, where kayaks and boats rule during the summer months. You may be tempted to buy a boat because of the Mississippi River, where kayaks and boats rule during the summer months. One more of things you should know about Minneapolis & St. Paul is an availability of skyway system which is helpful in keeping the weather warm. It is a network of sky bridges between buildings that are used when the freezing temperature and snow are outside. So, residents can live, work, and shop downtown without freezing. Minneapolis is great for women in tech. Women make up a quarter of the workforce in Minneapolis. Both areas have a growing tech scene so you can easily find a job in this field. This area has great facilities for its residents but, taxes are also slightly high here. Minneapolis also has special local taxes on different categories of goods and services. If you compare Twin Cities with other thriving cities, this area has homes available at reasonable rates. Also, if you want to buy a house in Minneapolis or St. Paul, the city government provides different programs to help low households to become homeowners. If you want to buy a house in Minneapolis or St. Paul, the city government provides different programs to help low households to become homeowners. After your finish visiting best museums in Minneapolis, go to the Mall of America. Also, it is a great place to spend time during long and cold winter months. Minneapolis has an impressive array of cultural offerings. It is a great city for young professionals same as for families. Offering fun events for families in Minneapolis you can spend quality and fun time with your children.